Editor’s Note: This post will update as the week progresses with information pertaining to this weekend’s impending weather and how it affects scheduled athletic contests. Tippecanoe Valley’s girls basketball game against Southwood is postponed until Monday, Jan. 21. Tip for the JV game is set for 6 p.m. The NorthWood at Goshen girls basketball game has been postponed until Monday, Jan. 21. Tip for the JV game is set for 6:15 p.m., varsity to follow. The Northern Lakes Conference Wrestling Championships has been cancelled due to impending weather for Saturday. The meet will not be made up in lieu of preparing for the sectional tournaments on Jan. 26. Warsaw’s swim dual at LaPorte is cancelled and will not be made up. Warsaw’s gymnastics double dual against Plymouth and East Noble in Kendallville is cancelled and will not be made up as of Friday. The Warsaw at Fort Wayne Snider boys basketball game for Saturday is cancelled and will not be made up. This game was originally rescheduled from last weekend. The Fort Wayne Concordia Gymnastics Invitational, which involved Wawasee, is cancelled and will not be made up. Wawasee’s girls basketball game at Plymouth is postponed to Monday, Jan. 21. JV tip at Plymouth is set for 6:15 p.m. The Three Rivers Conference Swimming Championships as well as the Wrestling Championships has been moved to Friday, both at Maconaquah High School. 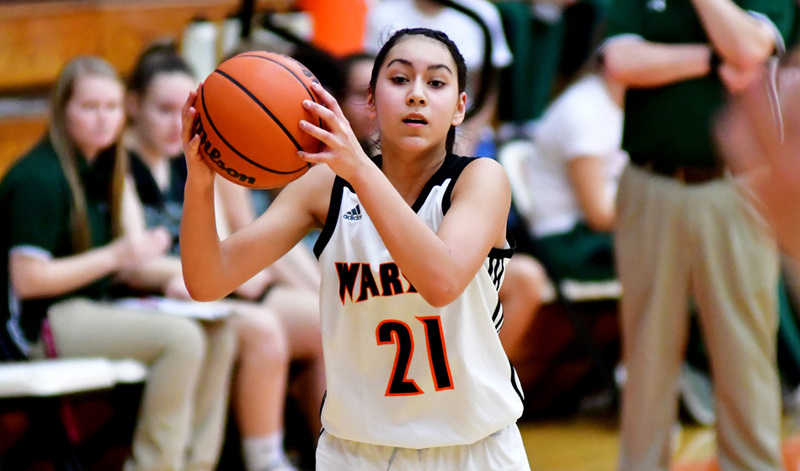 Start time for the wrestling is 5 p.m. and swimming is 5:30 p.m.
Warsaw announced its girls basketball JV and varsity games at Concord have been moved up from Saturday to Friday. The JV game will tip at McCuen Gym at 6:15 p.m.
Lakeland Christian Academy is moving its boys basketball game against Clinton Christian to Friday night, a 7:30 p.m. varsity-only game at Clinton Christian. LCA also announced its Jan. 12 game against South Bend Trinity will be rescheduled for Saturday, Feb. 16, with a 3 p.m. tip at Trinity. The Hoosier North Athletic Conference Wrestling Championships has been moved up from Saturday to Friday. The tournament at Triton will begin at 6 p.m.